Without doubt, the ASUS ZenBook Flip S is for you if you love classy devices. It sports a stylish, pleasantly slim body. Its thickness is just 10.9 mm and it weighs only 1.1 kg. The use of aerospace grade aluminium for the chassis makes it strong enough to withstand rugged handling. ASUS fits this hybrid with a 360-degree Ergo Lift hinge that lets you flip the display all the way round. This has a dual-action mechanism that automatically adjusts the keyboard for comfortable typing once you open the display beyond 135 degrees. Talking about keyboard, the ASUS ZenBook Flip S has LED backlighting. The ASUS ZenBook Flip S comes with a 13.3-inch display. This might make it more appealing than the 12-inch Apple MacBook, which looks to be a rival. But you may consider it a tad disappointing to learn the screen resolution is 1,920 x 1,080 pixels. Images should still come out in great colours, though. If you somehow find the resolution inadequate, you can get a unit boasting 4K resolution of 3,840 x 2,160 pixels. 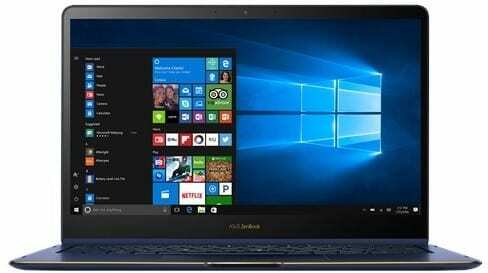 ASUS says you get latest Intel Core i7 processor on this hybrid. But you may also get it with a lower class chip, if you desire to make some saving. RAM capacity goes up to 16 GB. It appears you have to make do with integrated graphics on this one. The ASUS ZenBook Flip S offers PCIe Gen 3 SSD storage of up to 1TB capacity. This is supposedly three times faster than SATA3 SSD. The hybrid gets juice from a 39Wh Li-Polymer battery rated to last 11 and half hours on a charge. Fast charge tech brings it up to 60% level in only 49 minutes. The 2-in-1 comes with a full feature USB Type-C port for charging, data transfer and external displays. A Mini Dock lets you add another USB-C port, a USB 3.1 port, and an HDMI port. Harman Kardon software tunes the sound pumping out of the dual speakers provided for the ASUS ZenBook Flip S.
The ASUS ZenBook Flip S price starts at $1,099. We do not have official price or availability for Nigeria, Ghana, and Kenya for now. When available, you should be able to buy the laptop at leading online stores in the countries. 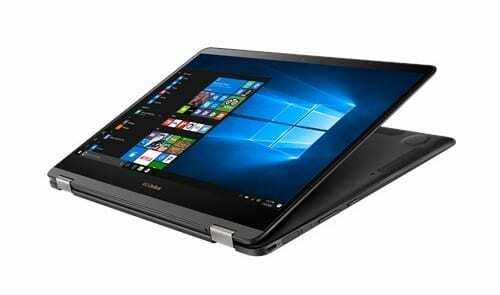 ASUS ZenBook Flip S Price in Nigeria is expected to range from 395,000 Naira to 550,000 Naira depending on the model.